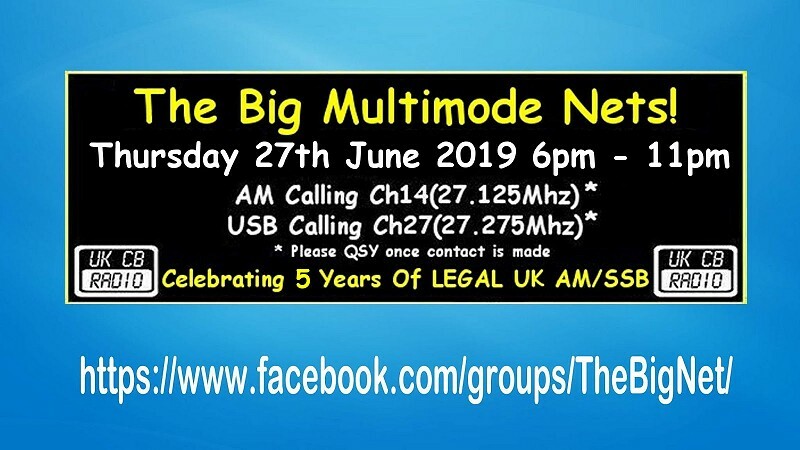 On 27th June it's the return of The Big Net, celebrating FIVE years of LEGAL AM and SSB CB Radio here in the UK. The long-standing annual event is a great chance to contact new and existing stations around the UK, have a chat, reminisce about the good old days and forge new friendships, ultimately increasing the the number of stations on the air and helping to safeguard the future of CB radio in general. The event always proves to be very popular and there are sure to be many stations operating on the night from both home and mobile stations, from the top of hills and from the valleys below. So dig those radios out and give a shout.